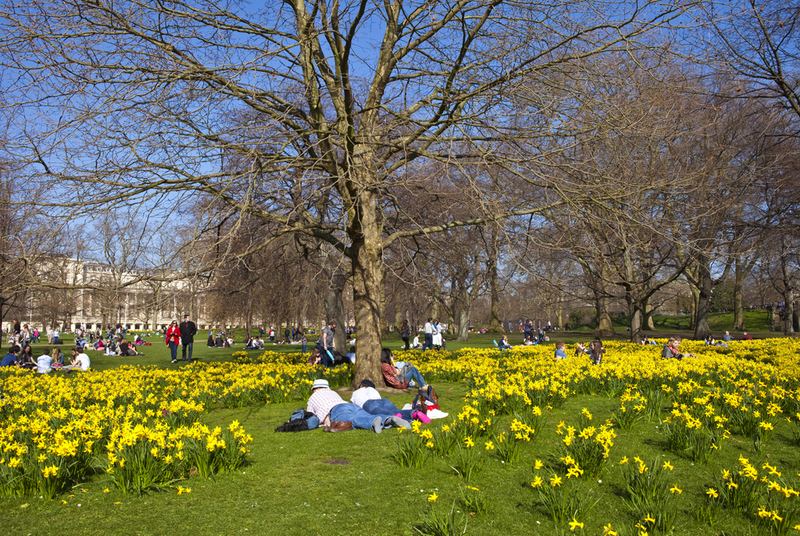 St James’s Park – London’s best green space? One of the best aspects of a trip to London is the fact that it is so easy to get away from the noise and bustle and into a green oasis. If the noise or crowds ever get a bit much, the answer is close at hand. The reason for this is that there are several Royal Parks in the heart of the capital, ensuring London is better equipped than many other large cities when it comes to green space. While Hyde Park, Green Park and Regent’s Park all have their attractions, St James’s Park may be the best of all. The oldest of the eight royal parks, St James’s is an elongated open space with Buckingham Palace at one end and Horseguard’s Parade at the other. In the middle, matching the slender shape of the park, is the lake, which is bridged halfway along its lake. The park also offers plenty of tree cover, providing shelter in a shower and shade in the sun. One of the great reasons for staying near the park is the pageantry that can be enjoyed. This is the place to see Trooping the Colour and the Changing of the Guard, as well as numerous major events. For example, April is when the London Marathon takes place, with the Mall offering a prime viewing point as the runners sprint, jog or stagger to the finish line. There are many places to get food and drink in the park. There are refreshment kiosks dotted around, while those who want to sit down and enjoy a meal can try Inn the Park, which offers everything from snacks to hearty meals. Getting there It would be easy to spend a whole day in St James’s Park, particularly in spring and summer when the flowers are in bloom. However, it can also be built into a busy day of sightseeing, whether visiting Buckingham Palace next door or travelling further. In the latter case, it is worth noting there are several Underground stations close by. St James’s Park station is a few streets away to the south of the park, with Green Park and Charing Cross also within walking distance.